Not because they are made to be more sturdy than private or residential doors doesn’t mean commercial or industrial doors are indestructible. They too can be worn out with the frequency of use or as much as we hate to admit, the frequency of abuse. A good quality commercial door is not cheap and facility managers/ officers don’t always have the budget to replace such at hand. Most of the time, an approval and budget request needs to be made first and it can take from several days to a few weeks to be processed, can be a pain in the neck right? Unfortunately, not all wounds can be treated with just a band-aid, repairs aren’t always good enough. 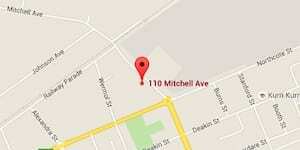 So how do we determine when to replace a damaged industrial door? We have put together a list of the most common types of damage that requires door replacement. It is already a given fact that commercial doors can’t be hollow-core as they wouldn’t be strong enough for its intended use. That being said, if a commercial door’s core was damaged in any way, the integrity of your first line of protection is already compromised. Any repair done to a door with the core already ruined is futile. A repair might extend the life of the door for a while but it will still eventually give in to busy traffic. The costs will just be doubled if you repair because it will not take long and you would need to do another repair. Delamination is when a composite material starts to fail and layers start to get separated. This can be caused by cyclic stress and impact or long exposure to elements among other things. The thing is, any multi-layer binding when it is unbound, there is no way it can be placed back as it was. It is better to replace the door as opposed to frequent repairs. 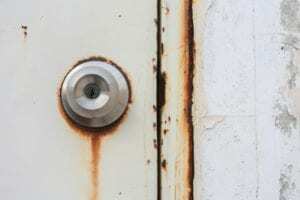 Contrary to popular belief, rusting generally starts inside a metal door. 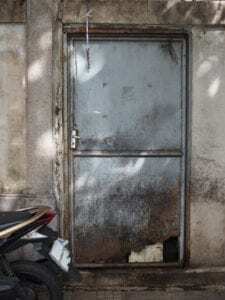 If you see a door starting to rust on the surface, there’s a good chance that more rusting can be found inside. Rusted metals can no longer be repaired. Painting it will only slow the process but it rust will continue to eat the metal. Note: Prevention is better than cure. 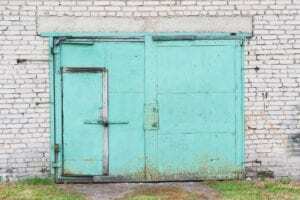 Use a galvanneal coated door from the get-go and you can have an assurance that your industrial door is more rust resistant as opposed to non-coated doors. 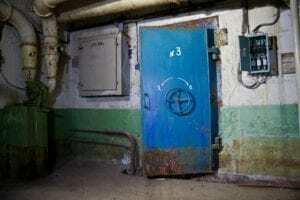 If a damage is due to forced entry, chances are the locks have been dismantled and possibly the area where it is installed is damaged as well. This can prove to be a bigger security threat since you can no longer install another lock securely on that damaged area. Even if you are able to, It will be more susceptible to vandalism attempts. Note: If your security has been compromised by forced entry, consider using a different locking mechanism/ hardware when you replace your door since you already know that the last one you used has weak points that can be taken advantage of. If the door frame is already askew and no longer level, the tendency is a poorly fitting or not fitting at all door. Trying to or forcing a door to fit a deformed frame might just cause further damage to both the frame and the door. 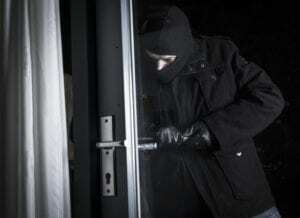 There is also the case of hinges no longer securely attached or misfitting door hardware and compromised locks. If the deformity of the frame can still be straightened back up for the door to fit perfectly again, repair the frame. If the damage is too much and couldn’t be corrected anymore, replace the frame. The door only needs replacement if the frame damage has been existing for a while and it already propagated to the door. Minor hinges issues – Ensure that only the hinge itself is damaged and not the door stiles. Damaged stiles mean you can no longer re-attach a new hinge securely and will present a high-security risk. Shallow dents – First, ensure that the damage is just on the surface and it did not penetrate to the core. If that is the case, you can apply some steel putty to fill in the dent, let it dry. Once dry, sand until smooth and leveled with the door surface. Paint/ coat.